The pope had received the delegates from the charitable Tensho Kenoho Shisetsu Kenshokai Association in audience, commemorating a visit in 1585 of four young Japanese men accompanied by Jesuit missionaries. 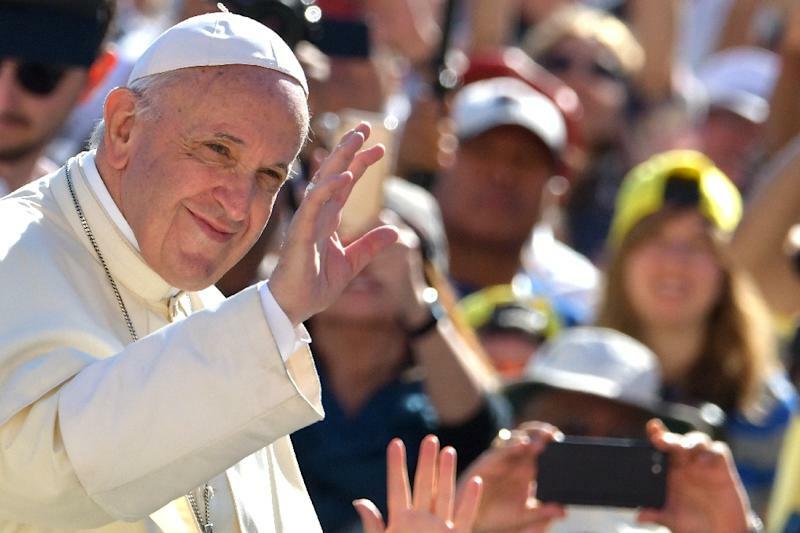 The Argentine pontiff has repeatedly voiced a desire to visit Japan, home to some 450,000 Roman Catholics. Another 510,000 Protestants live in the largely Shinto Buddhist country, according to Japan's Agency for Cultural Affairs. The pontiff noted that the 1585 journey to visit pope Gregory XIII was the first Japanese diplomatic mission to Europe and took more than eight years. In January, Francis issued a harrowing photograph taken in 1945 showing a young Japanese boy carrying his dead brother. The child, carried on the boy's back, was killed when the United States dropped a nuclear bomb on Nagasaki. Francis, who has often spoken of the dangers of nuclear weapons, had written on the back of the image just four words: "The fruit of war".